Talking about books is a great way to strengthen a love of reading (not to mention build connections and friendships). If you’ve never been in a book club or want to start one, we’ve collected some links with the How-to’s. If you’re not comfortable randomly selecting books, we’ve got a list of sites that have book clubs. Some include book conversations online, some include discussion guides, some just list the books their club is reading. You’ll also find a list with links to Book Club Discussion Guides. Got more suggestions? Find any broken links? Be sure to send us an email. 32 Perfect Books to Kick Off Your Book Club by Sara Galo @ Buzzfeed – These are book suggestions for a Young Adult book club. 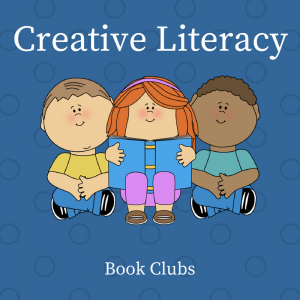 100 Best Books for 9 – 11-year-olds from The Book Trust – TBT is a UK-based organization that helps connect readers with great books. Book Budds – (from the website) Book Budds is an age-appropriate book club for girls in Kindergarten through Eighth Grade, as well as Mother/Daughter groups. We provide the tools and information girls need to build a positive, fun and motivational environment where they can share books. Reading the same books creates a wonderful basis for sharing thoughts and ideas as well as related activities such as snacks, games, crafts, and much more! Books for Middle Schoolers – Scholastic Inc. is both a publisher and bookseller, mostly through schools. They know what their audiences like. Guys Read – This is a web-based literacy program for boys. There is a new “book of the month” every week, with highly recommended reads. KidsReads.com – (from the website) We are a part of The Book Report Network, a group of websites founded in 1996 that share thoughtful book reviews, compelling features, in-depth author profiles and interviews, excerpts of the hottest new releases, literary games and contests, and more with readers every week. Readergirlz – This is a hip/jazzy site for teen readers that uses a multi-platform approach to reading, talking about, and promoting books. Reading Tub Recommendations for Book Clubs and Conversation Starters – A curated list of reader-reviewed and recommended books perfect for book groups, youth clubs, and family discussions.